We are constantly on the move; regenerating ourselves, our ideas and horizons, through travel and exploring or relocating and renovating houses, all as jobs or life require it. After a summer of regenerating ourselves and indulging our passion for travel we have also thrived on the changes that our business and our life choices have brought. The result is we are relocating again. We thoroughly enjoyed renovating and regenerating a 1960s bungalow, transforming it into a contemporary home. We learned a lot about building, renovating and, enjoying the privilege of living there, we learned a lot about us. We surprised ourselves when the day came by how difficult we found it was to leave. We both felt a mix of nostalgia, apprehension and excitement as we stood one last time in the now empty rooms together. A pair of Muntjac deer came to say goodbye and we smiled as each of us silently pictured the wonderful memories of our time there. Time to move on, we nodded to each other, we had made our home in this house for a short time but our hearts have already relocated and we leave the house to be regenerated into their home by the new, young family. Relocating this time is driven by our enthusiasm to expand our holiday cottage business outside of the UK and what better way to do it than guided by our passion for the outdoors, the stunning landscapes of the French alps and for renovating houses. On a visit to the French Alps last year we fell in love with a tumble down barn in dire need of renovating and, though it wasn’t in our plans quite so soon, we decided that regenerating the ancient building into a luxurious and unique chalet could be a perfect fit us and for our holiday property business, sheepskin. Over the year we have been through the processes of French planning, selling in Oxford and buying in France and are now, for the foreseeable future, relocated in Morzine, France. This week we started renovating the ancient French alpine barn, or Grange in French, with the plan of sympathetically, regenerating the scruffy old man into a more contemporary and unique modern gentleman. …exploring the Aprés ski places, especially our local favourite a micro-brewery and great place to relax, Bec Jaune. …and then regenerating ourselves with fresh mountain air, exercise and indulging in great local food, ales and wine. We will be out exploring with the future guests of our chalet in mind so that we can point them to the best spots during their holidays with us. We will also be searching for other like-minded chalet owners who have done their own regenerating of a beautiful, traditional building here and want to share their home with Sheepskin guests. When we have a moment during the renovating, we will post the progress on the barn as it is regenerated into a chalet for the Sheepskin holiday property collection. If you know Morzine and the Portes du Soleil and have tips on best places to eat, drink, ski or snowboard please do comment below. If you have already done or are in progress of renovating of a chalet in the French alps and would like to talk about joining Sheepskin as we launch in the mountains again please comment below. 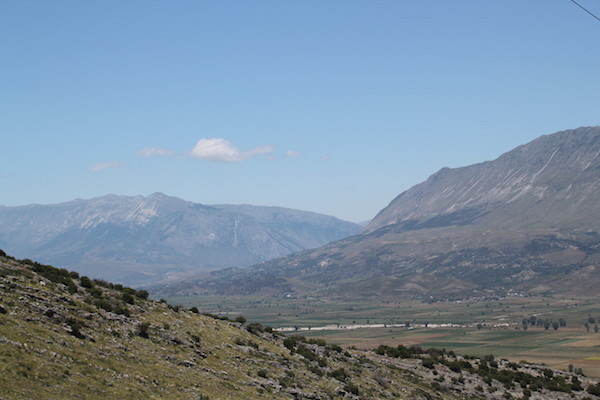 Albania had for too long remained an unknown for us and wanting to explore as much of the European continent in our camper van as we can it did not make sense to keep avoiding it. After some fairly fruitless research aiming to answer the questions above we decided to just go there and find out for ourselves. We thought a summary of the main things we have discovered so far will be useful and perhaps persuade you to visit this intriguing and blossoming (or perhaps more accurately ‘budding’) country. 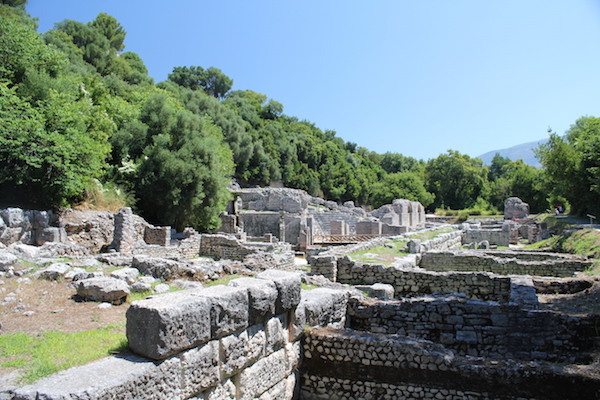 Independent travel: We always prefer to drive ourselves yourself rather than rely on public transport and this we would certainly recommend is the case in Albania. It is possible to drive your own car (from Britain) in Albania. We were not able to arrange insurance cover and therefore a green card from the UK but one of the things we discovered was that it is straight forward to buy a green card at the border (€50 for minimum duration of two weeks at time of writing). 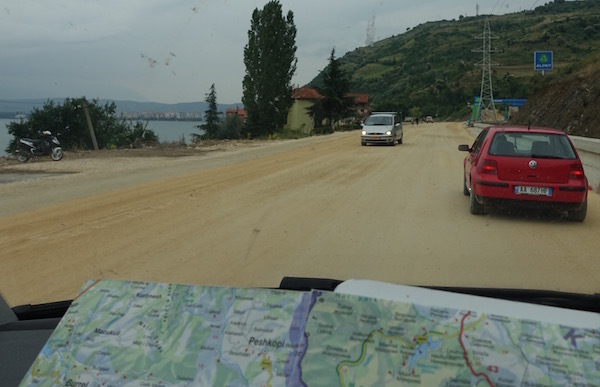 We found that our navigation system did not have any maps of Albania and we have discovered that not many GPS systems do and so you need to, as we did, rely on paper maps. A lot of the main roads are new and absolutely fantastic, do take care though as some are not quite finished so you can find a two lane reduce to one lane and change direction with little, or no, warning. Roads through towns and villages can be a little rough and pot-holed in places but by no means dangerous so just take it easy you’ll want to time to enjoy the scenery anyway. 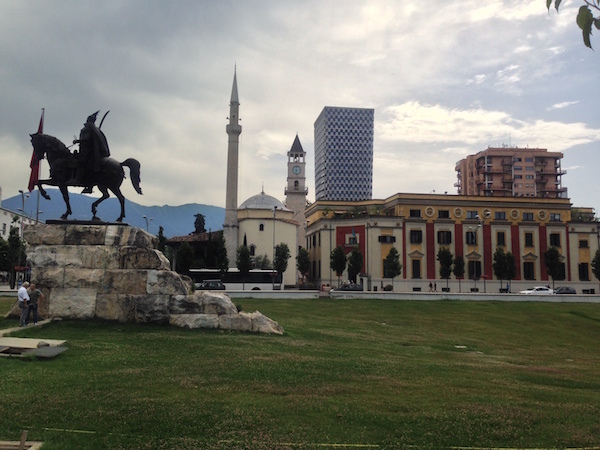 What we discovered about the capital, Tiranë, is initially intimidating and confusing; multi- lane highways approach busy roundabouts with few meaningful signs to tell you which of the bustling narrow streets is the way you want to go. 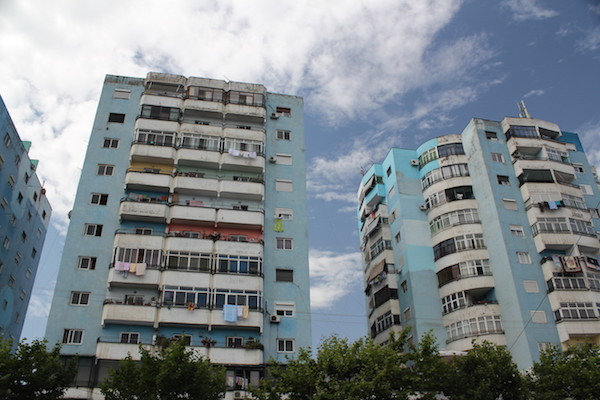 Large communist era buildings dominate, some shabby and grey, others amazingly colourful (thanks to artists and Mayor Edi Rama apparently) but still with a more utilitarian and unkempt feel. 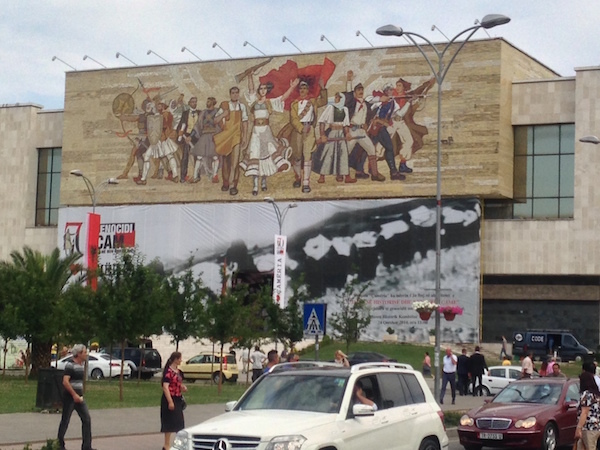 When you wander the bustling streets of Tirana you discover a wonderful mix of communist and Ottoman architecture, a thriving cafe and restaurant culture. What we discovered about the people: Albanians seem to be strong, proud, friendly and welcoming. From 1968 until 1990 for the Albanian people practising of religion was an offence yet now you will see young and old, entering churches throughout the day to pray and you will hear the call to Muslim prayer from the mosques. We found English spoken particularly in the bigger towns and if not then (particularly on the coast) quite a few people speak Italian. 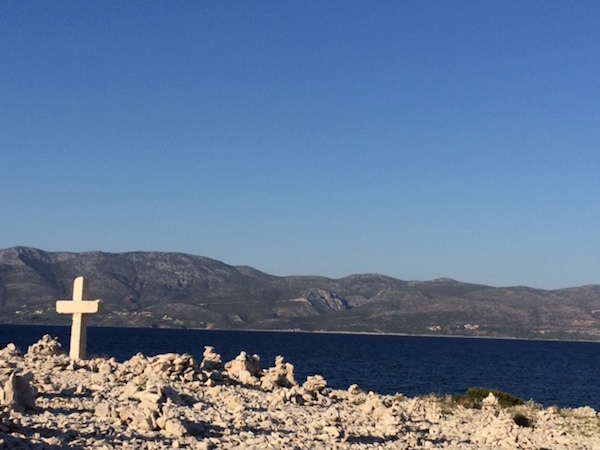 We had a very odd conversation asking directions to a campsite, in a cafe over an espresso, near Vlorë. 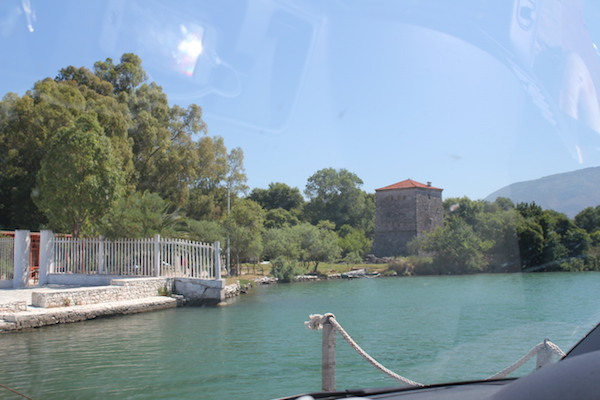 The owner spoke Italian and her advice was not to camp at all whilst her son spoke English and thought there may be one at Divjakë Lagoon (over an hour away), his friends seemed to be agreeing with him in Albanian. Following their advice and that of two (non-English speaking) night security guards at a bar on the beach we discovered we could camp with our van on the beach of the lagoon – a beautiful place to stay! The Albanian language doesn’t seem to have much similarity to others even so it’s always nice and welcomed if you try memorising a few important words as at least a few words….Please Ju Lutem, Thank you Faleminderit for instance. and the eager and passionate people of Albania are now working hard to make improve this and to ensure their country is more appealing to visitors. 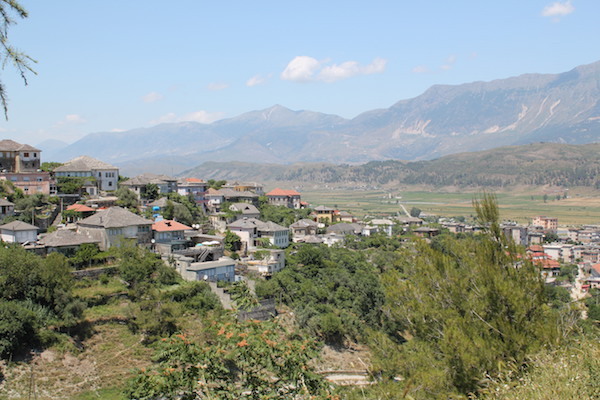 One of the most enjoyable things we discovered when visiting Albania is that local produce and great food is easy to find.Our first experience was in the south of Albania during a slow and fascinating journey through lush and mountainous countryside when around one bend we found a small taverna perched on the hillside. At Taverna Muzina we enjoyed a huge plate of spit-roasted ‘meat’, keci – kid in fact, perfectly seasoned and cooked and absolutely delicious. At the time we were unsure of the exchange rate but assumed around 100LEK to the british pound so 1600 LEK for our feast which greedily included an enormous Greek salad, rice AND two local beers seemed about right. 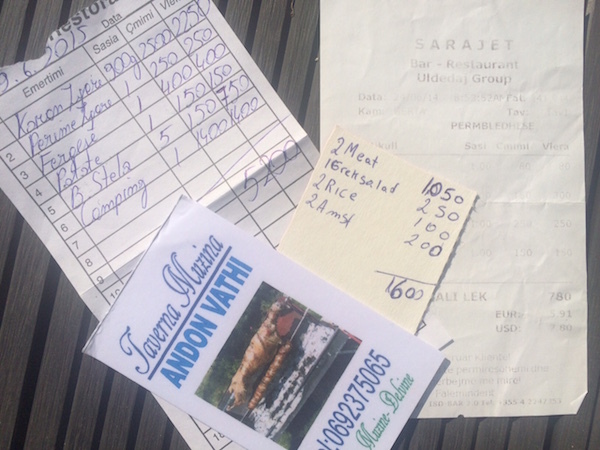 Later we found the exchange rate was around 180LEK per £, it’s easy to see what amazing value this wonderful food was.In Tiranë we wandered off the main Skanderberg square to find highly recommended Sarajet restaurant housed in an Ottoman house hidden behind trees on a quiet back street. We enjoyed a local breakfast, a timbale or hot rice topped with grated cheese served with thick sour yoghurt, in the tranquil sun-dappled garden but inside we could imagine generations have huddled to discuss politics and business. At Tony’s place on Lake Ohrid near Pogradec, we slept in our van in his garden looking out to Macedonia and feasted on the local Koran fish caught in the lake and his recommended local speciality Fergese – liver baked in a rich sauce and topped with cheese, sounds odd but is absolutely delicious. Grilled vegetables, potatoes, Bruschetta and of course just a few beers, enough for a family we thoroughly indulged just the two of us and including our camping (with use of his bathroom in the house) the bill was 5200Lek (around £30). Currency: talking of LEK, you will see that your pounds or dollars will go a long way in Albania. However take care as you cannot buy or exchange Lek outside of Albania. So either spend all that you exchange (which is easier said than done given the prices mentioned above) or exchange before you leave the country. We exchanged our Lek for Euros in a bank in Korçë. 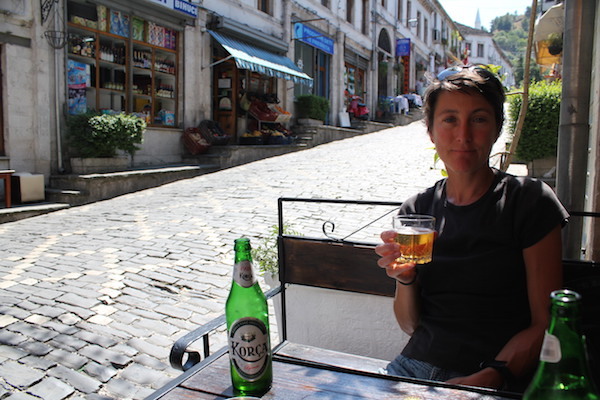 and on the other hand, as you sip an Albanian Korça beer in a local bar, it feels like a very relaxed and charming town. One odd thing that we ‘discover’ or at least noticed and cannot explain is an amazing number of car washes by the side of the road in Albania. 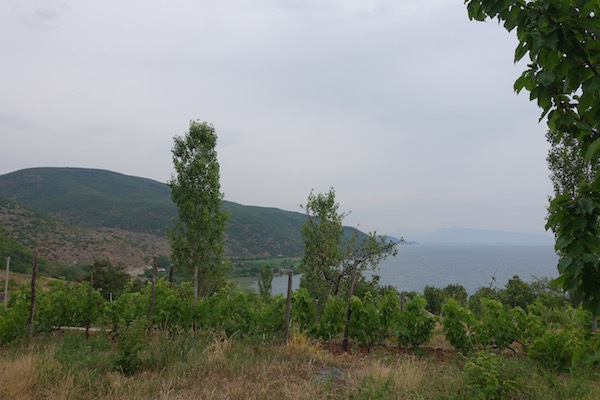 At Përrenjas on the way to Lake Ohrid, as we wound our way up the hill through the small town, we counted at least 15 hose pipes spurting water into the road with 1 or 2 men by each one sitting waiting or waving passing motorists in to hand wash their cars. It is evident that since the ban on privately owned cars was lifted in 1991 the car has become a necessity for many and a status symbol but we just couldn’t figure out the economics or reason for so many car washes! Does any one have any further insight? We have always enjoyed delicious local favours in Southern Italy though continue to be amazed at just how easy it is to find wonderful local produce and restaurants serving delicious local flavours. Our last visit through Puglia, Basilicata and Campania was no exception and the variety and quality of the flavours amazed us again. Having taken the ferry from Dubrovnik to Bari we journeyed south west across Italy through Puglia and Basilicata then turned north, along the coast, and through Campania. The scenery varies from barren to dramatic, lush to picturesque but what does not seem to falter is the fact that you can stop in any town along the way and you will find good food from amazing local produce with wonderful flavours. We’ve travelled from Bari west before so we took a windy route through the hills in Puglia to see something new. Mile after mile we passed through valleys where every inch of the land was green with farmed crops and at the corner of many of these vast fields, abandoned, beautiful old farm buildings made redundant now by mechanised farming and large cooperatives. First stop, desperate for coffee after our 6am start off the ferry, in what seemed like the middle of nowhere without a town or village in sight, we came across a tired looking roadside café with just a few builders’ and road workers’ trucks parked outside. As we opened the door we were hit by the most amazing smell – fresh baked bread and cooked tomatoes. Risorante Il Rifugio really was a wonderful refuge, behind the old bar wooden shelves were stacked with huge fresh rustic loaves, locally made Tartalli (savoury biscuits made with olive and white wine instead of butter), local jams and chutney as well as wines. We resisted the massive, fresh-made, crusty panini filled with cured hams and mozzarella that the builders were enjoying but welcomed ourselves to Italy with classic espresso’s after buying provisions for later. Next stop, lunch in Basilicata, the landscape around Potenza was a mix of farming and industry and predominantly modern building with not many places to eat. Finally at the edge of a modern but scruffy looking town a pizzeria hidden behind a shop selling mozzarella. We ventured in to find two uniformed policemen and a few people in smart business dress enjoying large plates of pasta. In our shorts and flip flops we too enjoyed wonderful pasta with fresh porcini mushroom and mozzarella sauce. 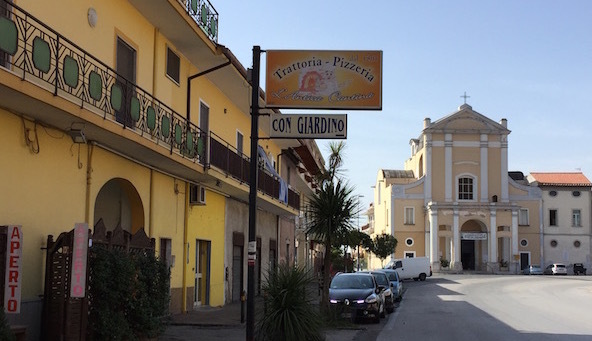 On to Campania where the road was lined with Buffalo farms many selling Mozzeralla direct. We chose one at random principally because it had Buffalo in the field next to the car park. Behind an unassuming door in the farm’s immaculate courtyard we found the Caseificio (Creamery) where a queue of people with shopping baskets were busy placing their orders, the lady in a white apron disappeared into the creamery behind and emerged to pass over the counter various sized bags of water filled with various sizes of delicious looking white Mozzarella balls. 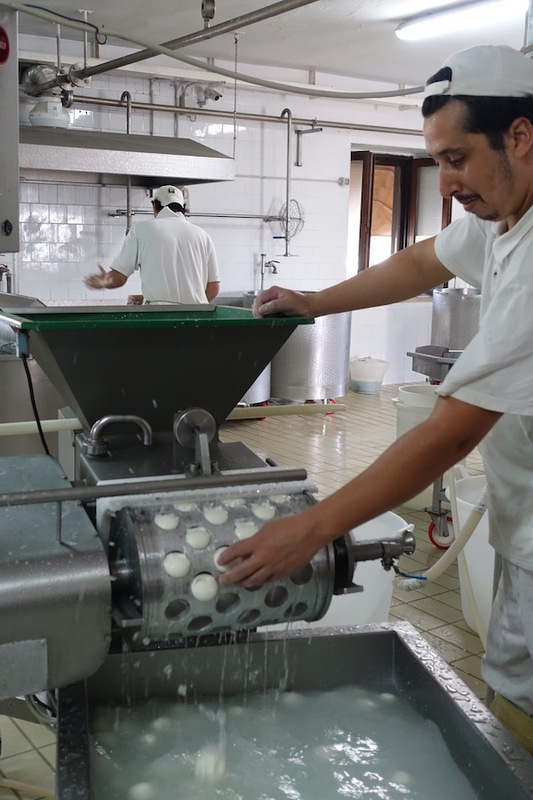 When our turn came, we ordered Bocconcini, small mozzarellas about the size of eggs, and carried our prize away like a goldfish from the funfair. Through another door a stylish, air-conditioned cafe hid where a couple of tourists in shorts and flip flops like us mingled with Italians in business dress evidently on lunch break. Though there were artisan breads and cakes filling the shelves, we were all after the same thing; ice-cream and yoghurt made from Buffalo milk. A worthy alternative to classic Italian ice-cream, not as rich but bursting with a fresh milk taste. 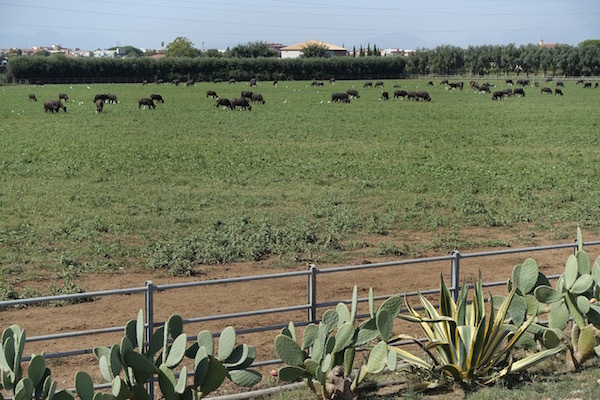 Now on to somewhere we know already, the Caseificio and Buffalo farm next to the ruins in Paestum where we know we can camp with our camper van for the night in their olive grove and taste some of their amazing local produce. In the garden next to the shop we feasted on a 500 gram Mozzeralla, Bocconcini with prosciutto crudo and very simple but extremely tasty tomato salad (sliced, fresh plum tomatoes, sprinkled with rubbed oregano and drizzled in olive oil – all from the farm). Oh yes and a deep, ruby red Jungano wine from the farms vineyard, full of silky blackberry and vanilla flavours. 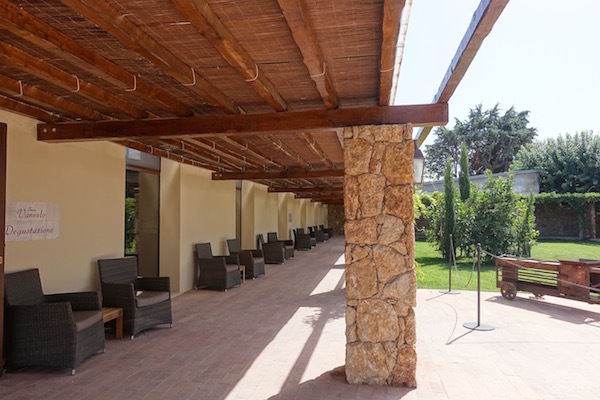 …before a run on Paestum beach in the hot morning sun, which was a memorable but rather painful experience due to our feast of wonderful wine and Mozzarella cheese. We were late setting off to continue our journey and our bellies called lunch shortly after Naples. Leaving the motorway at Capua; our hearts sank as we entered what felt like no-mans land, a military town with scruffy industrial buildings on the outskirts. We trundled down street after street trying to see a glimpse of lunch, eventually we spotted a little sign over a door ‘Trattoria Antica’, it seemed our only option. On tables by the bar a few people enjoyed plates of pasta as they watched The Simpsons on a small tv on the wall, a strange combination but the food looked good so we took a seat in the other room next to a few men who looked to be discussing business over their pasta. 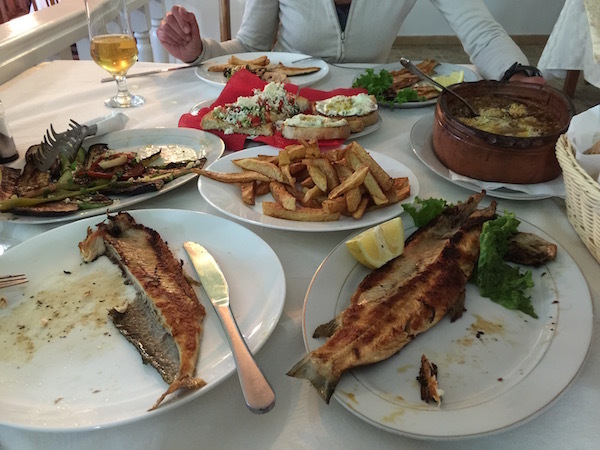 We listened discreetly but as we often find in southern Europe, their noise and gesticulation could have been arguing, agreeing but one thing we did understand was their enthusiasm about the food. They downed their espresso and left us to our simple yet delicious food; freshly made pasta with wonderful ingredients expertly combined to make the sauces. My seafood pasta was piled high with mussels and clams with a tomato sauce that tasted like it had been infusing and simmering for days to get such an intense flavour and Adam’s simple sounding Spaghetti Pomodoro was perfectly seasoned and packed full of flavour. 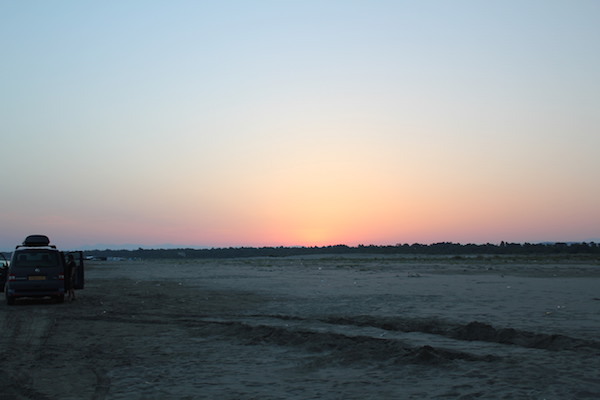 Our schedule meant that we had little time left in Italy and after a long day on the road we chose the location for our last overnight camp, on the recommendation of friends who live in Rome, Sabaudia on the west coast just south of Rome. A little touristy, as our friends had warned, particularly near to the pristine sandy beach dotted with cool beach bars, beds and umbrellas but overall an intriguing and beautiful place. 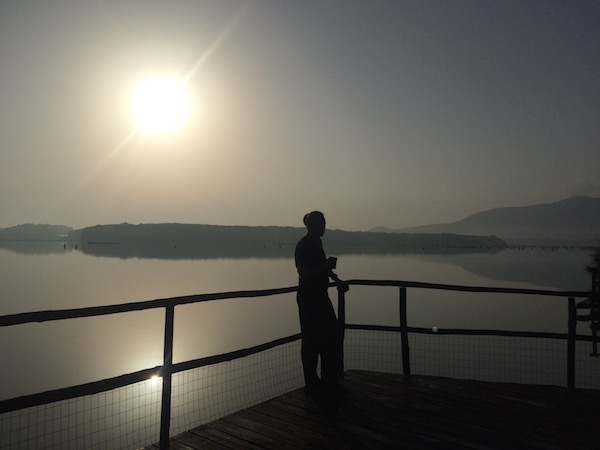 Over leisurely morning coffee watching the sun rise over the lagoon, we recalled the amazing food we had had the day before and suggested it was almost inevitable that during the course of the day to come, we would have a similar experience in some unexpected place somewhere. We walked back across the lagoon into the town itself, very sleepy on a Saturday close to the end of the summer season. 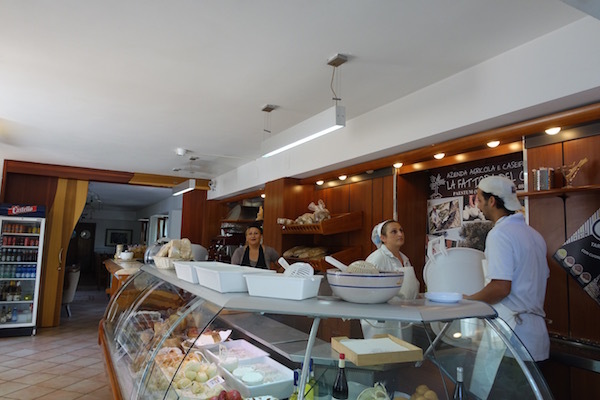 In a street off the main square we came across an amazing delicatessen, packed to the rafters with an array of local produce and with tables outside suggesting we may find lunch there. It looked like the shop had been the same since the 1950’s, there wasn’t a menu, the lady simply told us all she had available that day which was pretty much anything you could possibly desire. A normal occurrence, it seemed, for several locals who nonchalantly took tables inside and sat chatting to each other or their dogs and reading newspapers until their delicious lunches arrived. Sitting outside in the sunshine, we were treated to a huge plate of mixed cured meats, marinated, grilled vegetables and fresh crusty bread, simple and simply not reproducible in the UK. After these days exploring Italy, punctuated by delicious, conversation-stopping, local produce our eyes, taste buds and bellies were completely satisfied and full (for now). We slept, one last night in Italy, dreaming of ruby red wines, the complex flavours of cured meats and melt in the mouth Mozzarellas. We have travelled a lot in Italy and always we marvel at the unassuming ability to convert local produce into fantastic yet simple food with incredibly rich and distinct flavours. It all seems so natural and effortless, not food for special occasions, just food for every day. 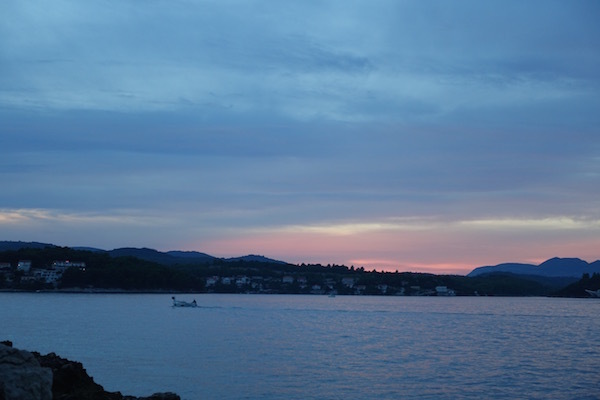 Though it doesn’t come naturally and didn’t feel right we felt we should try life at a different pace, a slower pace for just a while and Lumbarda in Croatia was the place to try it. We both notice how we tend to live and travel at a fast pace and we recognise we can skim over and past places rather than taking the time to get under the skin of a place, to get to know it better. We are hungry for adventure and new discoveries yet at the same time wanted a place that would force a more relaxed pace of life and to have adventure and discovery on a smaller and different scale to normal. Living in flip flops but attached to our laptops our requirement was; a place where we could connect easily to balance work with wonderful views, sea to swim, places to walk or jog, enjoy great food and wine and generally enjoy getting to know the place and perhaps ourselves a little better. 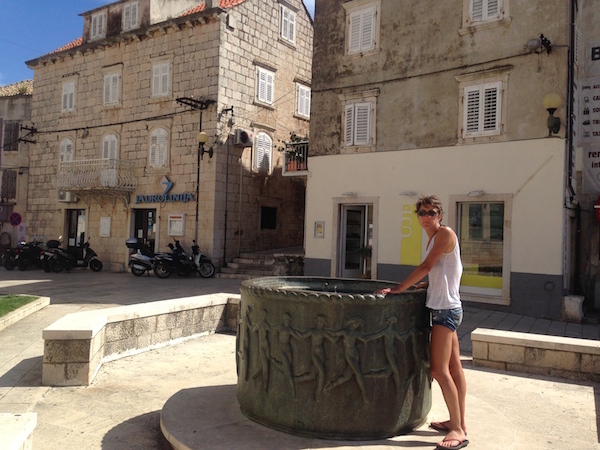 A tall order but we were confident that Lumbarda, on Korcula island in Croatia, could fit the bill. At the camp site we had wifi and views to the mountains on the Peljasac peninsula, it is staggering distance to places to eat and drink and a short meander to the sea in pretty much every direction. For several days we woke to blue skies and had a run up through the vineyards or along the coastline to the next bay. One of us would pick up breakfast at the bakers on the home straight; we found that you have to get to the tiny shop before 10am or she sells out. 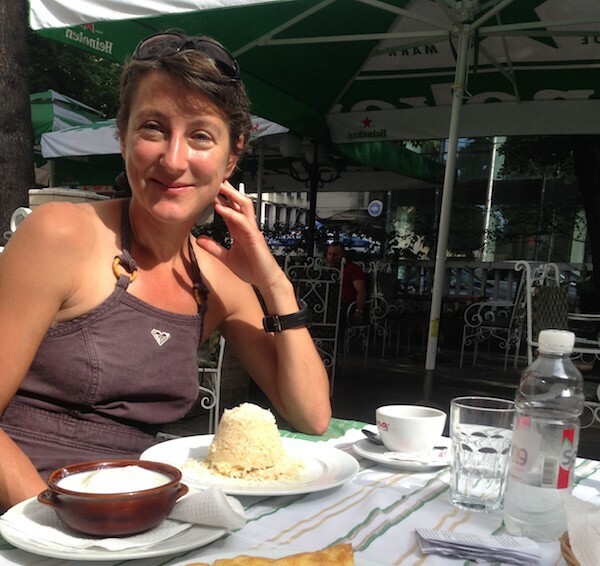 Once we figured out the required routine we enjoyed some wonderful fresh bread and local pastries like Burek Sir (a little like the Greek cheese pie Tyrikopita) and, after a few visits, even a welcoming smile from the shy lady. In the summer we had seen tiny pips of grapes emerging in the vineyards and now large bunches of red and white grapes weighed down every branch. One morning we were overtaken by a tractor and several scooters laden with empty crates as families busily began to harvest the white grapes. Having waited and watched patiently all summer it seemed the whole town was out lending a hand and joining in the jovial chatter as crate after crate emerged from the leafy rows covering the hillside. As we walked back down lane on our way home we were surprised when one of the men called to us and beckoned us over. The smile creasing his rugged and weathered face showed he was pleased with their harvest as he passed us each a bunch of grapes straight from the vine. We enjoyed our little piece of the harvest as we strolled down the lane; tiny, juicy and delicious you could taste the flavor of very local and unique Grk white wine that these grapes will create. The following day on our jog we saw the harvest was complete and the vineyards were quiet again. We skipped breakfast planning to enjoy a lunch of local cheese, Prsut (Croatian Proscuittio) and Grk wine at the Posip winery as we had last visit however the terrace, normally set up for hungry and intrigued tourists to taste their wonderful local produce, was completely taken over by crates of grapes and shiny grape crushing equipment. The man who had passed us the grapes the day before didn’t mind breaking off his work to pour us a glass of everything they make including some wonderful fig liquor. Croatians can come across as quite austere and, at first at least, don’t seem friendly because they don’t seem to smile very often or be very chatty. Perhaps this impression can be explained more by shyness and the difficulty of trying to make conversation in several European languages depending on who decides to take a seat at your table. Germans, Italians and English seem to be the most numerous visitors and you very rarely hear anyone trying to speak even a little Croatian. More often than not once you break the ice with a few, probably very badly pronounced, words of Croatian and a smile of your own they warm up and normally happy to teach you a few more words so that you can surprise the next person you meet. So after chatting for a while with the men at Posip winery, using English, a little terrible Croatian and basic German, we bought several bottles of Grk white wine (which may or may not make it all the way back to the UK before we enjoy them) and we left with a warm glow inside and out. We found it surprisingly easy to settle in to a routine and leisurely pace of life in Lumbarda…most days we wandered along the coastal promenade for a swim drying off in the afternoon sun. 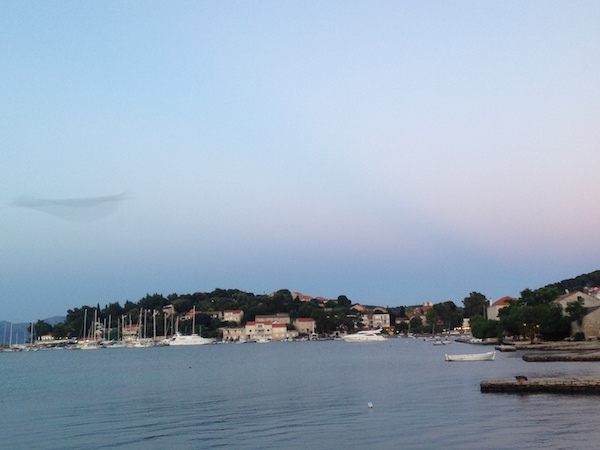 We walked and, much to our own amazement, on another day jogged the 8 mile round trip into Korcula old town and back. We were warmly welcomed back to restaurants we had visited before and discovered new places where the food, the views and the welcome were equally amenable. We enjoyed live music in the bar by the harbour that attracted more locals than tourists and spent quiet evenings, just the two of us, by our camper van, never boring of the inky black night sky. We listened to the murmur of the village across the field knowing that most of the chat and laughter was that of locals not the very few tourists who were lucky enough to choose September in Lumbarda. Our little Mediterranean oasis had not disappointed and before we knew it a week had disappeared!